UltraOptix 5 round 2.5X magnification with 6X bifocal turns hard to read words into brilliant text. 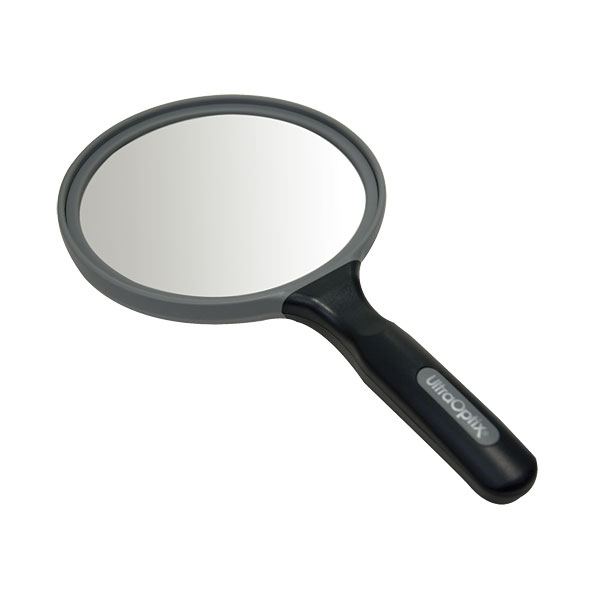 Great for anything that needs magnifying, this clear magnifier is designed for everyday use featuring unbreakable, scratch resistant, shatterproof materials. Great for hobbies and crafts.